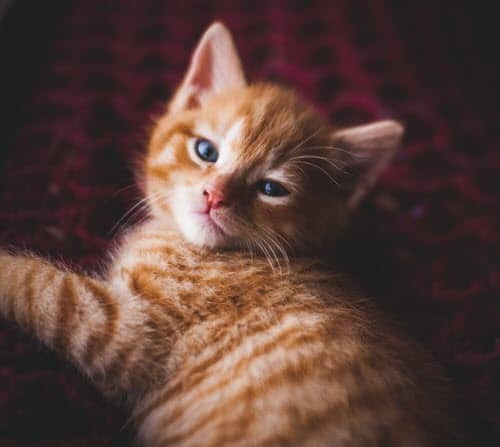 In celebration of Ginger Cat Appreciation Day (Sept 1), we bring you some facts and fun about the orange tabby that some people call ginger from our friends at KittenToob. One famous cartoon kitty is an orange tabby – the beloved Garfield. Tabby cats are very common felines, but they’re not actually recognized as a breed. It’s not a fact that many people are aware of, but it’s one we know and are happy to share with you. They’re some of the cutest cats in the world, as well as the most common. Most people who own cats have, at one time or another, owned a tabby cat. They’re very common, very friendly and they make excellent pets. It’s a very distinct cat because of its orange hue. Here are some interesting facts about this cute kitten that you might just want to know. This is just downright interesting. We bet you didn’t know that there are far more male orange tabby cats than there are females. In fact, there are 80 males to every 20 females. With statistics like this, it’s no wonder these are such common cats. With so few females to choose from, there are always some cats mating and creating new litters. The same statistic is true of several other cat breeds, and no one knows why there are so many more males than there are females in any breed of these particular cats. The orange tabby cat is often referred to by many names. Two of the most common nicknames for the orange tabby are ginger cats or marmalade cats. These are both nicknames that derive solely from the color of the cat, and it’s no wonder that these names were chosen. 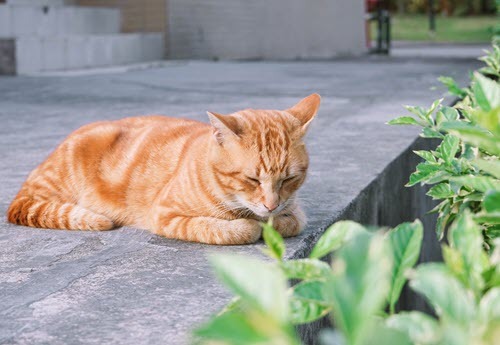 The orange color of these cats is very distinct and very noticeable. They are great pets, and people love to call them by their intended nicknames. There are many animals with nicknames, and this one just happens to be one of the animals with the most nicknames. It’s just another of the fun facts that most people just don’t realize about these cute cats. They come in four different patterns. There is an orange tabby with a mackerel pattern, a classic pattern, a ticked patter, and a striped pattern. It’s very easy to tell which is which, even if you’re reading this and aren’t entirely sure what any of this even means. Each pattern has a very distinctive and unique look that makes each one very noticeable to those who happen to see them. Freckles are notoriously cute, and the same is true for these orange cats. They’re well-known for developing black freckles along their faces, and it’s really adorable to see them. The ones that don’t develop the black freckles that they are so famous for will keep a soft pink nose, which is also cute. However, they both look dramatically different, and they are both something that people find adorable and interesting about the cat. There is an old tale that when Jesus could not sleep as a child, an orange tabby cat found him, curled up next to him and began to purr. Jesus loved the cat so much that Mary kissed the cat on the forehead and thanked him for taking care of baby Jesus so he could sleep. That branded the cat with an “M” marking on the forehead. We don’t know if it’s true or not, but they do have an “M” marking on their forehead, and it’s a great story to consider. He’s one of the most famous men in history, and he had an orange tabby cat he loved very much. Winston Churchill’s cat went by the name of Jock, and it was a very sweet cat. It even attended cabinet meetings at wartime and no one was allowed to eat at the meetings until the cat was sitting at the table to join them for their meal. Additionally, Garfield is an orange tabby and so is the 9-Lives cat. It’s a famous cat, though it’s not considered a breed. Our guess is that many people would disagree this is not a breed of cat. Many of the people who own orange tabbies have one thing to say about them; they all have different personalities. There is not one orange tabby that is like another. One owner might have one that is very sweet and kind and others might have an orange tabby that’s wild and crazy. There is no way to categorize this breed in a certain manner because they are all so different (and we use breed loosely since we know they aren’t one). If you spot an orange tabby that looks a lot like a tiger, it’s because you are looking at a mackerel tabby. This one has stripes that make it appear to look like a tiger. And given their orange color, the resemblance is sometimes striking. However, they have absolutely no relation to the tiger, which is an interesting concept considering the fact that they are actually cats that look so much like them. It’s just a trick of the eye and a question of markings rather than familial. No one is really sure where the name tabby came from when it came to naming this particular cat. Tabby is actually a kind of material with stripes that is made of silk and produced somewhere in the Middle East. It’s not particularly reminiscent of the orange tabby, so no one is sure why the name tabby was chosen when these cats were named. It’s just one of those life-long mysteries no one has answers to. There is no such thing as a tabby with a solid orange coat. There can be solid tabby cats, but there is not any such thing as a solid orange tabby. All tabbies that have an orange coat have some sort of pattern on their fur. The pattern can be any of the four that are discussed above, and that’s what makes them even more different than the regular tabby cat. Additionally, all orange tabbies are orange, but not all tabbies are orange. Perhaps you know this from knowing Garfield, but the orange tabby is a cat that loves to eat. This cat will eat anything, anytime and it has a tendency to become overweight and very fat. It happens. If you have an orange tabby, you cannot have a continuous feeder that so many pet owners love, because these cats will eat it until it’s empty, and it might be the same day you filled it up. 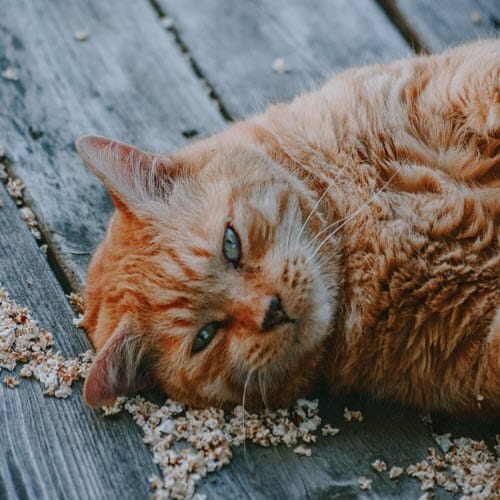 Obese cats are prone to several different health problems, so it’s imperative anyone who owns one is very careful not to allow their orange tabby to overeat. We’ve discussed the fact that these are cats that are not considered a breed. They are, however, cats that can be found in any breed. The orange tabby is very commonly found in Persian cats, Munchkin cats, American bobtail cats and even Abyssinian cats. 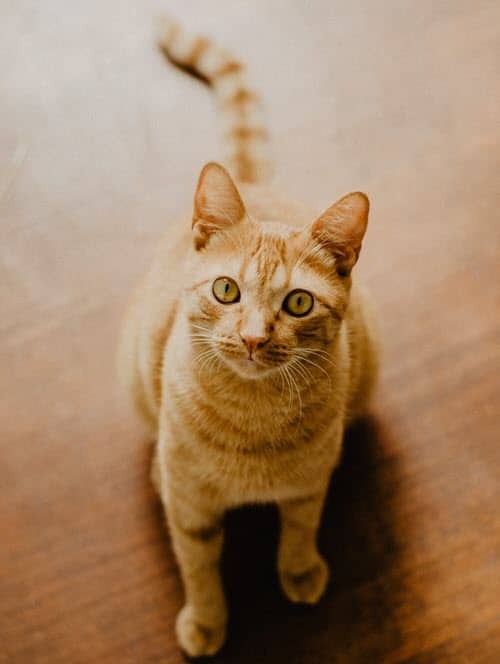 There are more breeds that have their own set of orange tabbies, but there are so many it’s not even worth mentioning them. It’s easier to simple say that just about any breed of cat can have its own version of the orange tabby. They also live a short time. In all honesty, an orange tabby does not have a life span specific to their coloring. They live as long as their particular breed of cat lives. If an orange tabby from the Persian family lives this long, an orange tabby from another breed might live that long. 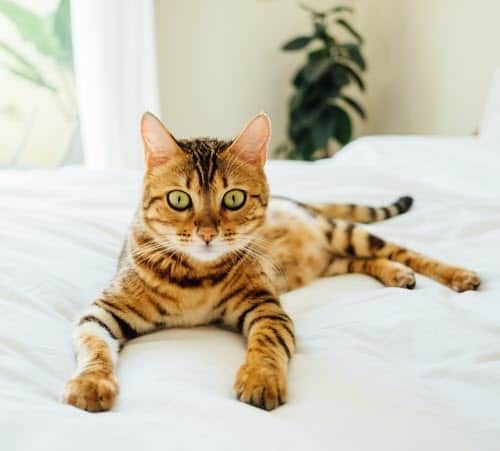 There is no way to tell exactly how long they are going to live if you have one, unless you know the specific breed and you go by that information – as well as the health of the cat. 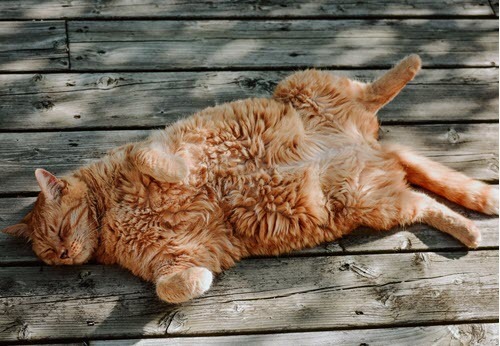 Most orange tabbies are very friendly cats, whether they are loving and calm or outgoing and busy. However, there are a few breeds that produce orange tabbies that are aloof an uninterested in human affection. They might want to be pet every now and again, and they will let you know. However, they are not overly affectionate at times and they will not hesitate to let you know that they don’t care for you in any way. Most people consider all cats judgmental and kind of mean. They’re condescending and kind of look at people and other animals as if they’re all a bunch of idiots. It’s the nature of the cat. While this is a big misconception for many breeds, the orange tabby seems to be the cat that makes this misconception seem to be true. Perhaps it is their inherent laziness or their fondness for napping, but the orange tabby is the first cat to give you a look like you are not even remotely worth their time and energy. This seems to be the cat that started this rumor about all cats. Now that you are completely confused as to how a tabby cat can belong to many different breeds, let us explain. You already know that the tabby is not a breed. It’s also not a color. Remember earlier when we said that orange tabby cats cannot be any other color but that tabbies can be any color? We meant that. A tabby cat is a cat that is named for its pattern. Tabbies have four distinct patterns (remember the ones from above?) and they are all that pattern. If a cat does not have one of those specific patterns, it is not considered a tabby cat. We already discussed the fact that tabby cats will eat a lot, and they will eat it until it’s gone. Well, they’re not particular. They will eat just about anything. In fact, a tabby will actually sit down at a table and eat all the food that humans leave on it if they are left unattended. Not all cats will do this. However, the orange tabby will. Additionally, many tabbies will make it their business to eat baby food that kids drop, dog food that is found in bowls; this is not the kind of cat you want around the house if you have a dog that wants to eat. You’ll end up with a starving dog and an obese cat. The orange tabby has to have some orange in its body. Most of them are primarily orange, but there are some that are more white than orange. These are very rare, and it’s not easy to find them. However, they do exist, and they are very popular cats in the feline world. What makes them so popular is the fact that they appear to have some very delicate faces and appearances, making them look sweet and very innocent – which some are and some aren’t. For the most part, orange tabbies are brave cats. They love to get into trouble because it seems to be part of their inner makings. They are cats that are designed to get into trouble, it seems. For the most part, tabbies in the orange family are not overly afraid of children or other animals. They don’t have a problem sharing a house with other animals (probably because it means there is more food for them to get to when no one else is looking) and they’re not even afraid of dogs. The orange tabby is a very lazy cat. This is not a cat you will notice that goes out of its way to play, chase another animal or hunt down things it can use as toys around the house. It’s just a lazy animal. It would rather sit down and have a snack and take a nap than do anything else. It’s not something that’s breed-specific, since orange tabbies aren’t all the same breed. However, it does seem to have something to do with the orange color of the animals. They’re just plain lazy. 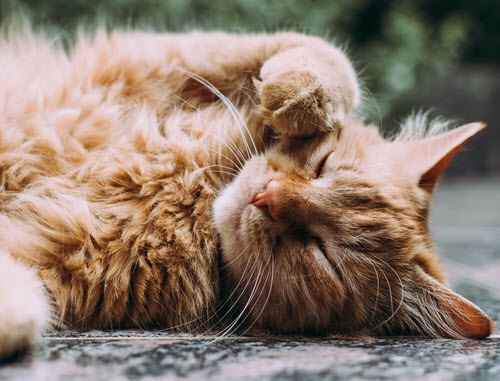 If you are convinced that a orange, ginger or marmalade cat is for you – there is no better way to find one than in a local shelter. Check our our Adopt-a-Pet widget on our home page – or this article: Adopt A Pet Search. FCVC loves our feline friends – no matter what breed or color! If you have questions on a specific breed or what to do after adopting – we are happy to answer those concerns for you. Call us at 970-587-5140.